The transdermal drug delivery system (TDDS) has several advantages including the avoidance of the hepatic first-pass effect of drugs, long-acting sustained release of drugs, improved patient compliance, and painless administration. However, traditional TDDS has a limitation for the molecular size of drugs (<500 Da). Thus, TDDS formulations are not suitable for administration of high molecular hydrophilic drugs, such as proteins and vaccines. 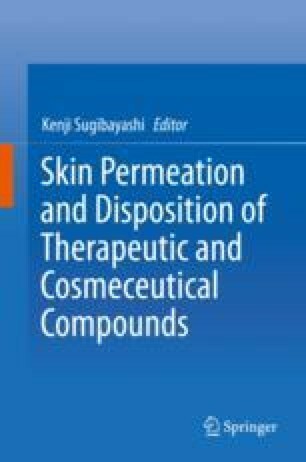 To overcome this problem, physicochemical methods, such as electroporation, microneedle, and needle-free injection (NFI), are becoming popular to increase skin permeation of mal-absorptive drugs. Among these techniques, NFIs have been investigated as an administration device not only for high molecular weight compounds like insulin and human-growth hormone, but also for vaccine and gene delivery. Currently biotechnology-derived medications are the leading edge of medical treatment and many biopharmaceuticals have dominated the top 10 used agents in the global market. In the near feature, development of self-administered injectable biopharmaceuticals associated with NFI or a combination of NFI and new transdermal drug innovative technologies will be needed to be able to incorporate and used into normal routines within patients’ homes and work places.